The “Hex Tour” is a simple right to the point tour. The focus point is the Hexagenia and the areas at Lake Almanor where it is found. 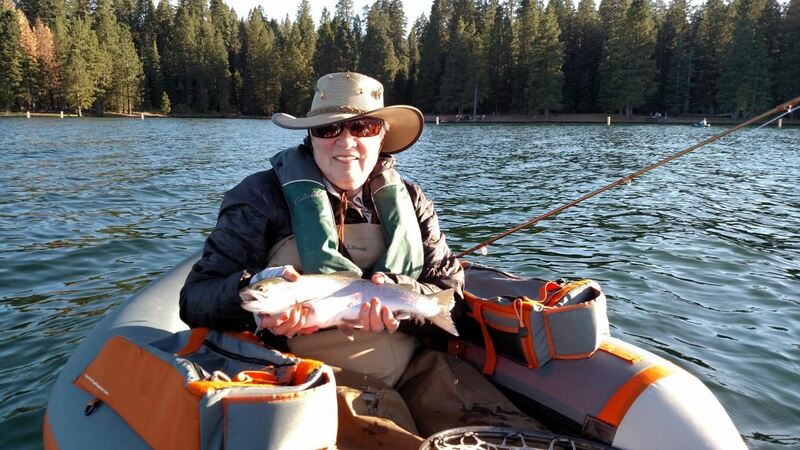 We drive the west shore of the lake pointing out access areas, fishing tips for each fishing access and the equipment and flies that we use during our guiding operation. The tour is much more about where and when. We cover the entomology of the Hexagenia and why it’s found at Lake Almanor. This hands-on tour gives the fly fisher a firm understanding on the Hex. The tour includes a lake front tri-tip dinner, rigging and an evening of fishing on the lake. The tour starts at 2:00pm and ends at dark after fishing. Handouts on the tour are provided, including a map of the lake, equipment and rigging setups and a breakdown of the areas where you will find the Hex. Tour fee is $150 per guest for the tour, limited to 8 anglers per tour. Transportation, a lake front dinner, beverages, and snacks during the day. Handouts for the tour will include maps, access areas, flies, special setups, equipment recommended and other special features that pertain to the fisheries. A complete list of all equipment needed is attached to the confirmation package.